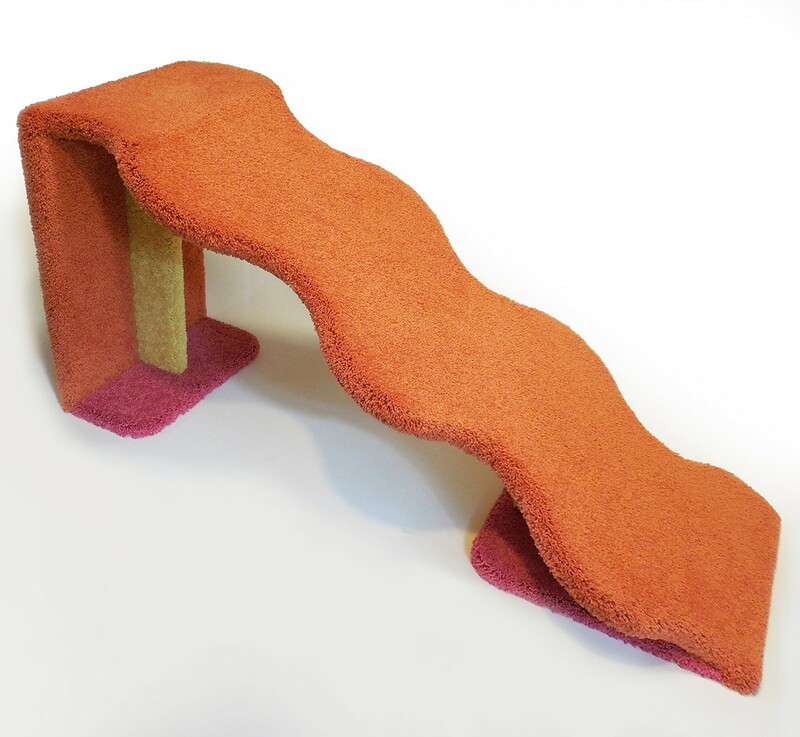 Small to medium sized dogs or cats can safely and comfortably use this deco-style ramp to get to an elevated couch or bed. At the foot of the ramp is a stand, which prevents the unit from toppling. With a simple adjustment, the stand turns around to reverse the ramp's direction. Simple assembly may be required.